Wash bhindi and wipe from kitchen towel, make it completely dry. 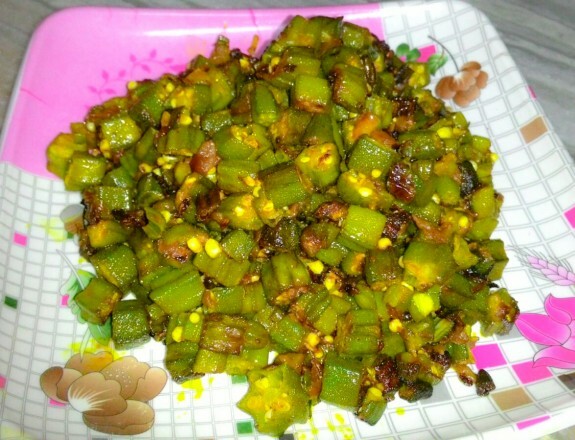 Cut the bhindi in 4-5 pieces of each. Heat up a frying pan add oil , add cumin seeds and crackle them now add Pinch of asafoetida stir for 30 sec, add chopped onion and cook it for 2-3 minutes . Now the Bhindi is ready to serve. Serve it with Chapatti and rice.